A Groundbreaking Method To Lose Fat According to the latest scientific research, excess weight is caused by at least nine different imbalanced hormones. Not one single diet or weight loss programme takes this vital new insight into consideration. Therefore, virtually all attempts to reaching and maintaining a healthy weight are doomed. The Hormone Factor provides you with the necessary tools to gradually rebalance your hormones in a natural way. Thus you will easily shed those excess pounds, never to pile them on again. 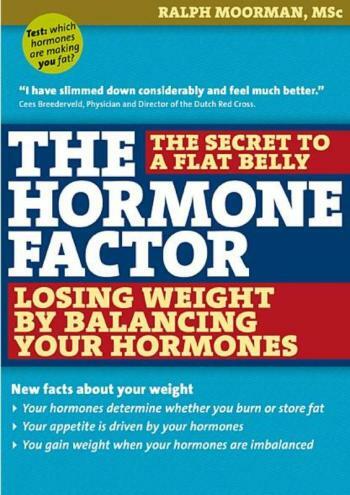 The author of The Hormone Factor is lifestyle and fitness coach Ralph Moorman, MSc. He is specialised in guiding people that want to lose weight responsibly. He studied food technology at Wageningen University, obtained several American certificates related to sports and nutrition and attended numerous international physicians seminars on the subject of hormones and health.